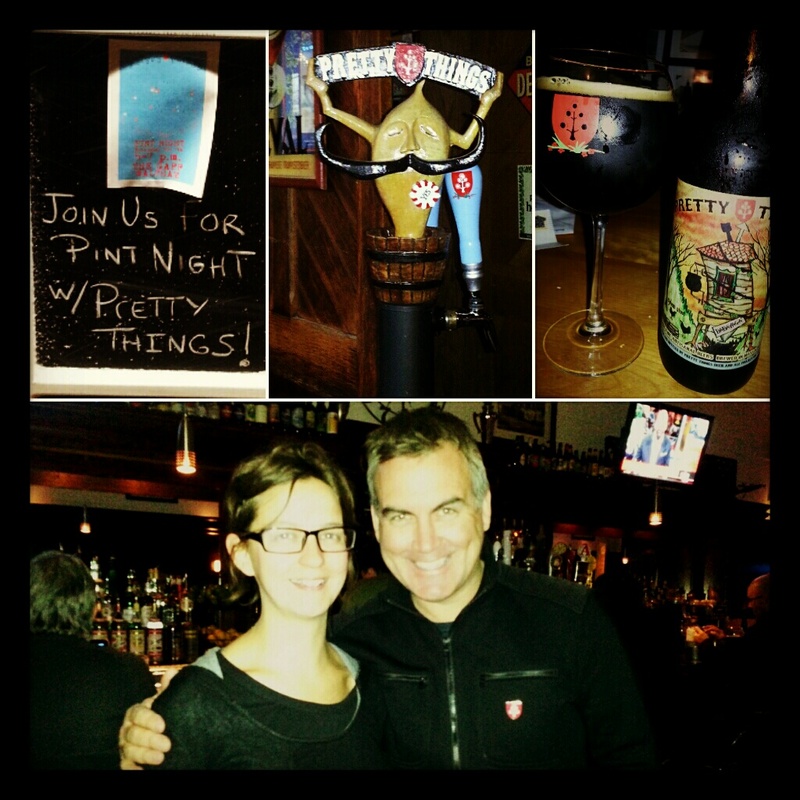 Pretty Things is a Somerville, Massachusetts-based brewing duo that’s grabbing a lot of attention in the Boston area right now thanks to some unique, quality brews, cool bottle art and good ol’ grass roots marketing—Dann and Martha frequently visit local bars and restaurants to spread the word about Pretty Things. One of my favorite things about Pretty Things is that Dann and Martha never really make standard styles of beer, meaning most of their brews are original takes on well-known styles. They’re always coming up with something new and different, and best of all, unique. On the flip side, Pretty Things also brews “Old Beers” as part of its Once Upon a Time lineup, in which the brewers painstakingly recreate beers of yore based on ancient recipes. I’ve been drinking Pretty Things beers for a couple of years now, and I can honestly say I’ve never had a bad Pretty Things brew. Dann and Martha make a killer IPA called Meadowlark. I’m also fond of their export stout, Babayaga; and their flagship saison, Jack D’Or. The Pretty Things website only lists venues in Mass., Rhode Island, New York and Pennsylvania where you can find Dann and Martha’s beer, but I spotted some of the brewers’ unmistakable bottles during a recent trip to San Diego at the Best Damn Beer Shop. Keep an eye out for Pretty Things, and if you’re fortunate enough to spot a bottle in your local shop or a Pretty Things brew on draft, purchase one and drink it post haste. After all, it’s the pretty things in life that count. Learn more about Dann and Martha and Pretty Things on PrettyThingsBeerToday.com. The Gaff beer bar on Moody St. in Waltham, Mass., is a diamond in the rough. Waltham is a blue-collar suburb about 25 minutes outside of Boston, and Moody St. is Waltham’s “restaurant row.” Moody St. is packed with mediocre bars and ethnic restaurants, with a few shining exceptions—Solea Restaurant & Tapas Bar and Ponzu, a Japanese/sushi joint, both come to mind. 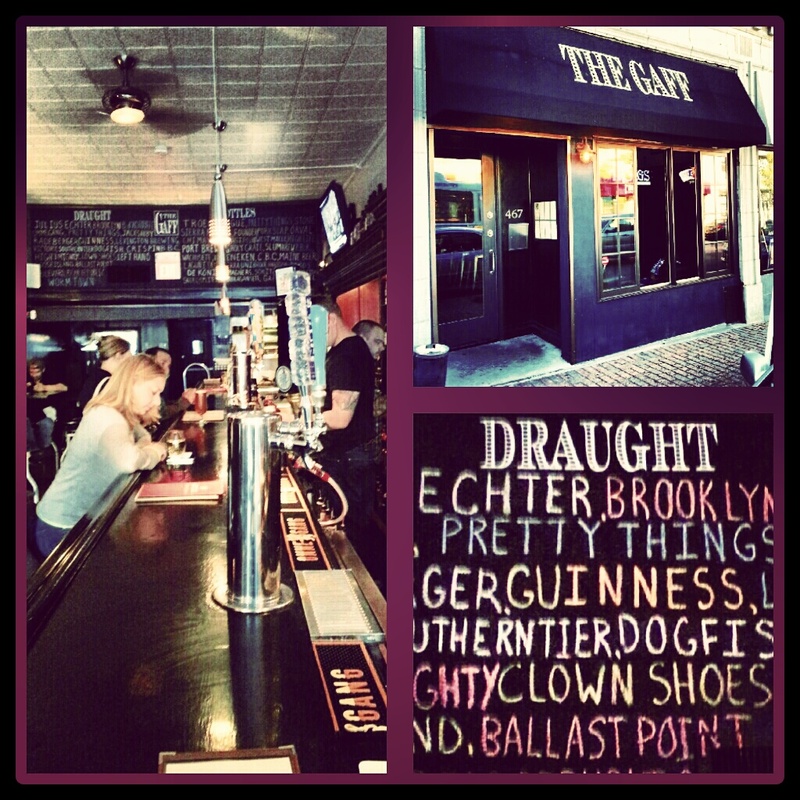 The Gaff has 20 or more beers on tap at any given time, many of which are local brews. And 30 or so bottled beers are also available. For these reasons and more, The Gaff makes my list of best Boston-area beer bars.